Are you looking for the previous Year 5 weekly schedue? It's here. 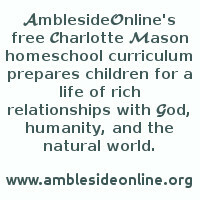 As a help for scheduling Year Five of AmblesideOnline's curriculum, we are pleased to offer printable charts, the weekly assignments in list form below, or families may choose to use a modification of either for their own personal use. However, please see Our Fair Use Policy before sharing any part of the curriculum. Correspond history readings with a timeline or century book and map. This PR article on Book of Centuries, as well as other PR articles about history, may be helpful. Foreign language should also be done. This Country of Ours ch 80. Pierce - The Story of "Bleeding Kansas"
This term, focus on explaining and teaching the following geography concept(s): Trees, flowers; what plants need to grow.